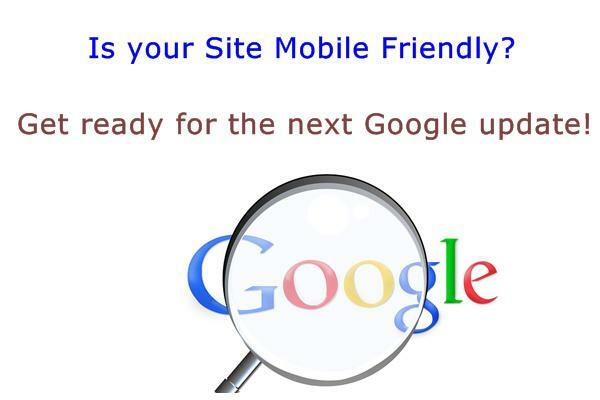 Recently, a small update was announced in Google algorithm and from 21st April 2015, mobile friendliness will be an important ranking factor. During past few weeks, certain reports from Google Webmaster tools have shown that Mobile Usability will be added under Search Traffic Section. Mobile Friendliness will now be more into focus and every website owner will now concentrate more on making a mobile friendly website. This update will definitely bring drastic changes and to handle these changes, it’s necessary to prepare ourselves. It’s really necessary to perform an action before you actually prepare yourself for the new update. The impact on search results will be powerful and this update will be bigger than Panda or Penguin. Viewport with fixed width: This means that your website should be responsive and a responsive website will adjust itself automatically to any size, without trying to display the complete website to be displayed on a very small screen. Touch Elements close to each other: When you view the website on the smartphone or tablet, several areas where user is able to click are seen too close to each other and sometimes chances are such that in need of clicking one tab, users might click another one.This sometimes is really pathetic and very annoying as users may actually get confused about which button is to be tapped to get the exact function. Hence, it’s advisable to keep tap targets atleast 48 CSS pixels wide and in case these are smaller, there should be additional spacing and no other tap targets must be within 32 CSS pixels. Font Size should be small: As per Google, font size should be very small but should be easily legible and to ensure this is done perfectly, make sure your viewport is configured properly. Base Font size should be 16 CSS pixels, adjust the size as needed depending on the properties of font being used. Make use of size that is related to base size to define the typographic scale. Some vertical space between the characters must be adjusted for each font. The default line height must be 1.2em. Limit the number of fonts and typographic scale to be used. Too many fonts and font sizes can tend to offer messy and complex page layouts. Large elements like images should not use fixed width. Content should be not specific to view port only. Make use of CSS media queries to offer different styling for smaller screens as compared to that of larger screens. The overall jist of this blog post is to develop a responsive website. Several guides by Google are available to make mobile friendly websites and it also offers mobile friendly test to know if your website is mobile friendly or not. Also, in case the webpage is not mobile friendly, it will show you the reasons why it is not. However, separate web pages can only be checked. So, checking whether the entire website is mobile friendly or not is not possible here. Apart from using Google’s mobile friendly test, one can check the website responsiveness by resizing your browser window and if the website doesn’t get adjusted to the browser window size it’s not responsive. So, if you wish to get the assistance from experts to get responsive web design then well known responsive design development companies are here to help you out. One such famous firm is Platinum SEO in Melbourne, Australia.